What do you think of when you think of New York City? Unless you were born in another borough, you probably focus on Manhattan, but, then what? You might then envision the things the island is known for—Central Park, amazing museums, the subway, coffee houses, and, of course, some of the best places to shop on the East Coast. Of Manhattan's many shopping offerings, jewelry stores are among the most prominent. The city has a long history with jewelry, and to this day you'll find some of the finest pieces you might have ever seen in its well-known retailers. When it comes to jewelry, Manhattan is definitely in the running. Upmarket retailers abound, selling all manner of necklaces, bracelets, timepieces, earrings, and other fine jewelry that will round out your look or make for a great gift. Feeling like venturing into this world and finding something to call your own? Here are a few of the great stores you'll come across while exploring the island. The appropriately named Lexington Jewelers is located squarely on Lexington Avenue between 83rd and 84th Street. They are known for more than just their selection of jewelry. They've made their reputation as expert repairmen of rings, necklaces, clocks, bracelets, and watches. Stories tell of quick fixes that involved minimal fuss and master-level skill, with plenty of satisfied customers naming Lexington as their jeweler of choice for fast repairs. In addition, they'll buy gold and jewels, offering patrons a fair bit more for their items than they might expect to get at other similar establishments. Professional service, courteous and prompt repairs—this is a local jeweler that you'll likely return to time and again for reliable and dependable interactions that you can trust. Landau offers a taste of the high-end jewelry experience, marked by their incredible selection of amazing wares. They have a few locations throughout Manhattan, but their location on Madison avenue is quite conveniently positioned and a definite favorite. Here, you'll find a wide range of pieces made with precision craftsmanship, inspired by the "most prominent European designers." Their focus, they say, is on providing the highest level of service along with the highest quality jewelry, while staying abreast of the latest trends and bringing them directly to their clientele. Though they got their start back in Florida, they've become a fixture in New York as well and most customers will tell you that they've been well-served by the friendly staff across their Manhattan locations. Bassano is a local jewelry store, operating for more than 25 years from their location on 3rd Avenue at the corner of 57th Street. Their mission, striving "to provide its customers with respect, appreciation, education, and of course, a beautiful product." They've got a grand selection of world class diamonds and other fine jewels. They do much more than simply sell product, though, they are also dedicated to helping clients find the jewelry that will work best for their needs. Jewel specialists and gemologists are at the ready to guide you through the many choices available, and they even do repairs and refurbishing of old and broken jewelry onsite. Locals hail Bassano Jewelry for their excellent customer service, knowledgeable staff, and amazing prices. It's widely considered one of Manhattan's best jewelry stores, and there's little wonder why. With a name like that, So Icy Jewelry is a hard place to forget, and, as the name implies, this store specializes in high end gold and diamonds that shimmer and shine like few others can. Men's rings, ladies rings, pendants, watches 10K gold chains and more—you'll not want for options here, and you're likely to find something among their selection that speaks to your personal tastes perfectly. They pride themselves on using 100% natural gold, and never resort to platings or fillings. This dedication to quality is something that has made them a stand out name in the jewelry game, and earned the confidence of their varied clientele. 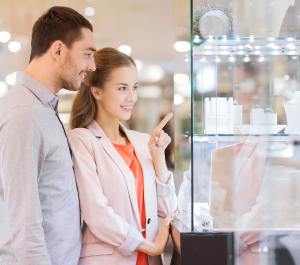 Patrons nearly unanimously laud their excellent customer service, professional approach, and ability to help guide them through the process of finding the right piece of jewelry. Beyond that, So Icy Jewelry often has great deals on their different pieces, and will leave you stunned when you take a trip to their showroom on West 47th Street. Located on 7th Avenue, Martinique Jewelers has been a mainstay since 1963. This high quality store carries almost everything, from designer brands to classy engagement rings and beyond. As a third generation family business, they are something of a dying breed, but the their dedication to the ethos of being a prominent local fixture is what has made them a continued success to this day. The personal touch is something they emphasize heavily. They combine this with a great store layout, friendly atmosphere, wide selection of great jewelry, and, of course, great prices that will keep you coming back to their store again and again. Heading over to Broadway, you'll come across Ernesto's Jewelry. This spot is a bit lesser-known, but the quality here is undeniable. If you need a ring, necklace, or timepiece made, they've got you covered. They are also notable for their highly skilled watch repair, fixing bands, batteries, and more quickly and with expert precision. You'll be able to access all of these fine jewelers, and many others, from the stunning Renoir House Apartments on The Upper East Side. This upscale rental community provides the truest form of the New York experience, not only in the external beauty of the incredible complex, but with what lies within as well. Residences are superbly designed and spacious enough to suit your needs. The unit features and building amenities are of the highest class, modern, and emphasizing comfort and convenience. Even the location of the building is perfectly situated to put residents in the middle of everything that they could want or need. Check out Renoir House today and make this your first choice for living in beautiful Manhattan.